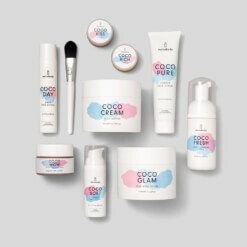 The set that takes care of your skin mornings and evenings. Because every time of day requires a different routine, here is a set that is perfect anytime! 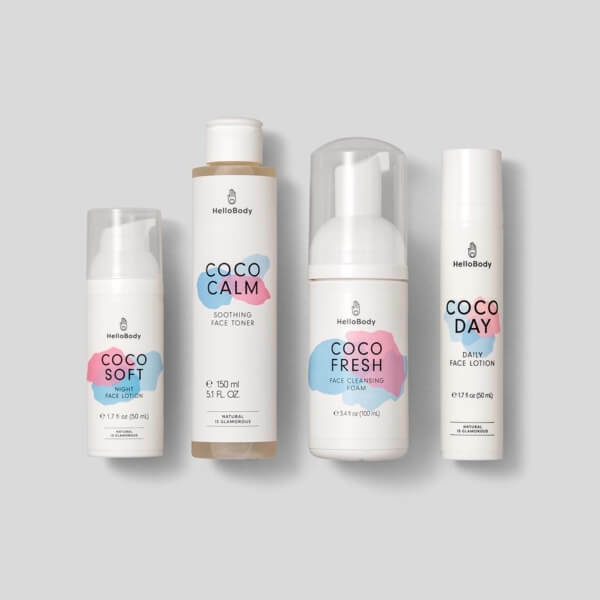 Our COCO FRESH face cleansing foam gently cleanses your face every morning and evening, while our COCO CALM face toner soothes irritations and revitalizes your complexion. 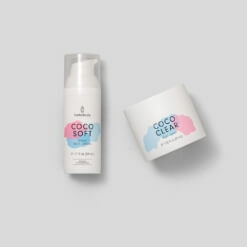 In the morning, moisturize your face with our COCO DAY daily face cream and use our COCO SOFT night cream in the evening. See below for advantages of these products! Peat extract: cleanses the skin. Soothing your skin has never been easier with this toner: it calms, hydrates and revitalizes the skin! Coconut extract: softening and smoothing properties. Calendula extract: soothing and conditioning properties. Aloe vera: helps maintain healthy skin. 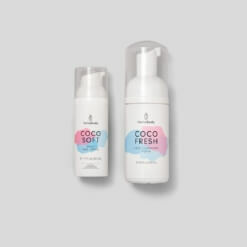 Our daily moisturizer with a delicious coconut smell, for a smooth and hydrated skin. Coconut oil: smoothing and moisturizing properties. Peat moss extract: cleansing properties. Nourish your face over night with this rich night cream, thanks to moisturizing jojoba and avocado oils. Shea butter: moisturizing and smoothing properties. Avocado oil: moisturizing and regenerating properties. 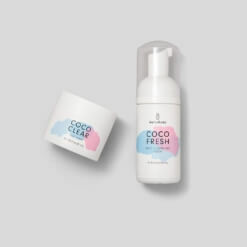 Step 1: cleanse your face with our COCO FRESH foam. Place a dime-sized amount of product in your hand, then apply to wet skin. Massage your face and rinse with warm water, then gently dry your skin. Step 2: soak a cotton ball with our COCO CALM toner and apply to your face and neck in a circular motion, allowing the benefits to fully absorb. 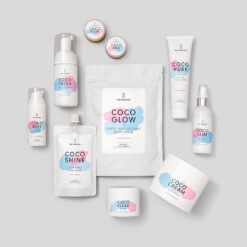 Step 3: in the mornings, complete this routine by moisturizing your face and neck with our COCO DAY. In the evenings, use our COCO SOFT night cream instead.